"my prayers go out to his family. I will miss bob very much..."
"Cindy & family: so very sorry for your loss. Cherish the..."
"Cindy, Shelby and family, I am so very sorry for your loss...."
"Blessings to you all. 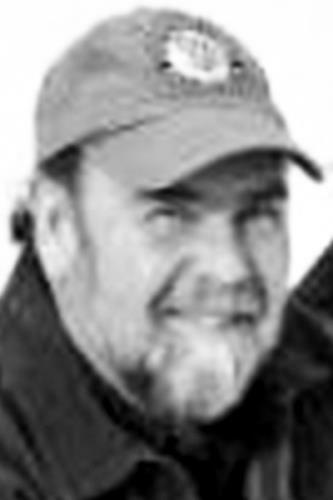 Bob always sounded so proud when he..."
NORRIDGEWOCK - Robert Ernest Gilcott, 60, passed away suddenly and unexpectedly on Jan. 29, 2019. Bob was born on Jan. 24, 1959 in Norridgewock, where he lived his entire life. He graduated from Skowhegan Area High School, class of 1977. He married the love of his life, Cindy (Kniffin), on May 4, 1985, in Skowhegan. Bob held a variety of jobs during his life, starting out as a police officer for the Town of Norridgewock. He had a lengthy construction career at Cianbro and Rust Engineering. He then continued on to Campbell's, and Hammond Lumber Company in outside sales. Bob was a born entrepreneur, spending a great part of his life owning his own businesses, including Krafty Kritters, A+ Home Maintenance and, most recently, RC Destination hobby shop. Bob was president of the Norridgewock Chamber of Commerce, and a proud member of the Maine Antique Tractor Club. Bob was proud of his accomplishments as Chairman of the Board of Trustees of the Norridgewock Water District. He was a die-hard NASCAR fan. He thoroughly enjoyed camping with his family. He took pride in his various collections, including trucks and tractors. He valued old things and kept them like new. He had a gift for being able to see the value in things and people. Bob was predeceased by father, Perley Gilcott, godfather, Ernest Laney, mother, Stella (Gilcott) Poulin; brother, Ralph Gilcott, and sister, Judith Bushey. He is survived by wife, Cindy of 34 years; daughter, Danielle Turner and husband, Dennis and their children, Lincoln, Reece, and Gabriel of Norridgewock, daughter, Shelby Bolstridge and husband, Matt of Milton, N.H.; sister, Patricia Hayden and husband, Robert of Cornville; and many other loving family members. Bob was happiest when he was surrounded by his girls. Reminiscing, his wife and daughters will miss the notes he left them near daily – "have a great day, sweetheart. I love you." He never failed to remind them how beautiful he thought they were and how much he loved them. He enjoyed having his entire family together. He was a supportive, loving dad – always intentional and thoughtful with his words, and a great listener. His salt-of-the-earth nature was infectious. Bob was well-known for his generosity and gentle demeanor. Always willing to lend a hand and offering advice based on his life experiences. He never was unprepared, always carrying the right tools for most any job, which included a multi-tool on his belt everyday. He was an honest businessman. Everyone knew they could trust and count on Bob. His loyalty also spilled over to his long-time friends, whose connections he deeply cherished. Time was not much of a concern to Bob. He thought nothing of spending several hours chatting over a few cups of coffee, even if that meant missing an appointment. He left an impression on everyone he came into contact with and he knew how to make a person feel important and cared for. He always stuck to his word. Bob was the epitome of kindness and living a life of doing the right thing. A celebration of Bob's life will be held on Friday, February 8, at 10 a.m. at the Norridgewock Fire Department, Upper Main Street, Norridgewock. A scholarship will be created for a student enrolled in the carpentry program.